Our school is full of many different people. We always hear about the students that do sports. Or the students that are very well known for their academics. There are many other “groups” of people out there. What about the students interested in film and photography? Now that’s where many of the interesting people are. Let’s meet Abraham Murillo. He is a senior in Alisal High School. He really likes his school. He believes that the best part of our school is the school’s spirit! According to Abraham, the most important part to be successful in high school is communication. During his junior year of high school he took a band class, so sometimes when he has free time he will try to learn a new song. Abraham is a very easy going guy. Three words that he believes describe him are “Kind, Outgoing, and Respectful”. He really likes the color blue. Blue is his favorite color because it stands out to him, when he sees this color it gives him a calming vibe. In his free time he likes to watch T.V. Two of his favorite T.V. shows are Family Guy and Timeless. He has a dog named Riley that he likes to spend time with when he has the time to do so. While he walks his dog, he enjoys taking pictures of nature. On some other occasions he likes to hangout with his sister and nephews. When he does spend time with his sister and nephews, he likes to go to the park, mall, or sometimes to the beach. Abraham joined the yearbook and journalism class to improve his writing skills. Another reason as to why he joined this class is because he likes photography and film very much. He is in the photography club and is now the president of that club. He really enjoys photography for the reason that photography is a form of expression. He believes that there are unlimited things that someone can do with photography and film. As fun activities, in his free time, he likes to film things. He will film on his phone and edit the recordings into a movie. Doing this helps him gain practice on his filming and editing skills. 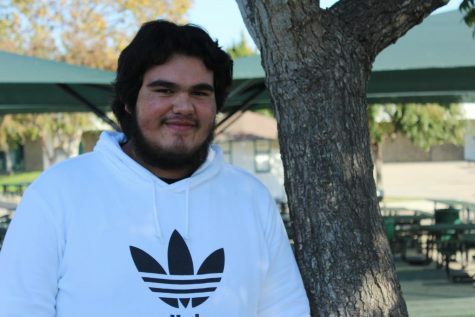 After he graduates from high school he plans to attend Hartnell college for a year or two. After college he hopes to transfer to San Francisco State University. He wants to major in Film.